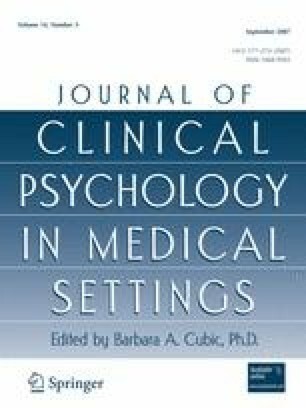 This study investigated the correlates of psychosocial adjustment in mothers and fathers of children with chronic disease. Participants were 20 mothers and 15 fathers of children with cystic fibrosis, 11 mothers and 9 fathers of children with muscular dystrophy, 18 mothers and 9 fathers of children with asthma, 13 mothers and 8 fathers of children with Type 1 diabetes and 19 mothers and 11 fathers of healthy children. Questionnaires relating to the variables of interest were used. Poorer levels of adjustment were associated with lower levels of social support and family cohesion for mothers and coping by understanding the child’s medical situation, more family life events and lower family cohesion for fathers. These findings suggest that the correlates associated with maternal and paternal psychological adjustment to chronic childhood disease differ. These differences are important to consider when providing care to children with chronic disease and their families. Support for this research was provided by a grant from the Alberta Children’s Hospital Foundation.